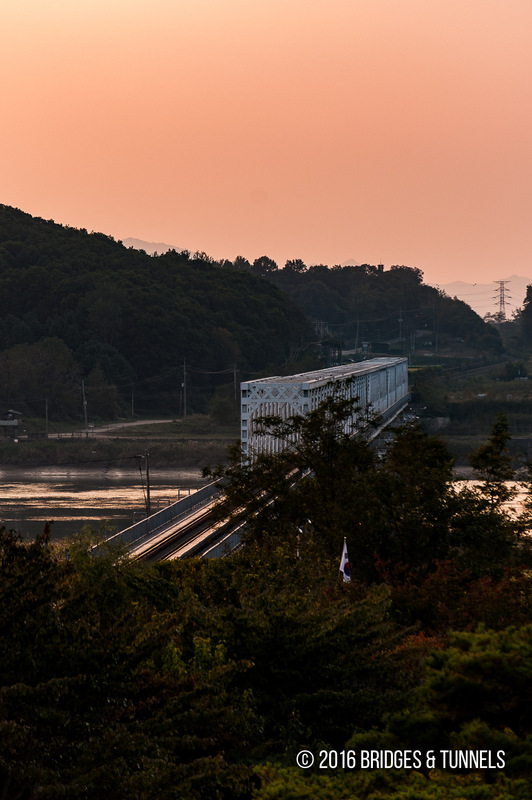 The Imjingak Railway Bridge crosses the Imjin River between Imjin River Station and Dorasan Station. 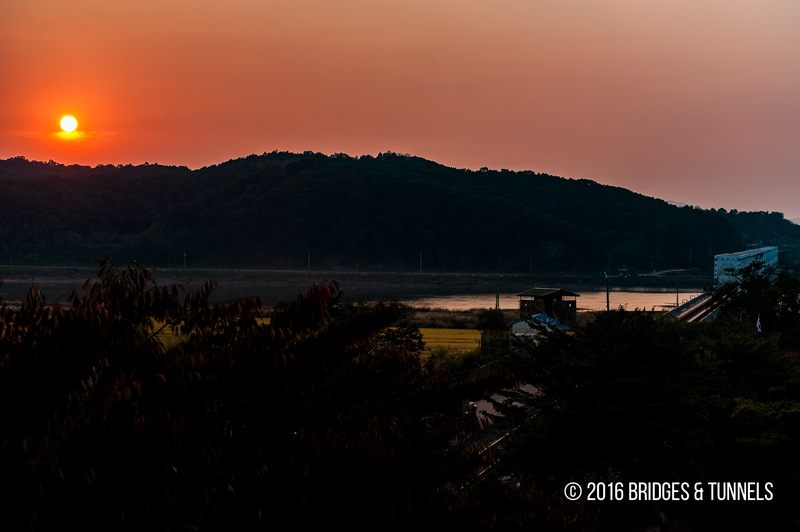 The bridge was demolished in 1950 during the Korean War and rebuilt in 2000. Today, it carries a single track of the Gyeongui Line operated by KoRail.